Kiss the kinks goodbye! 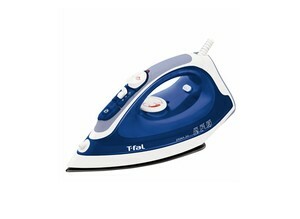 This easy-glide iron features a nonstick soleplate that effortlessly moves over garments, providing a continuous stream of steam that removes the most stubborn wrinkles and creases. Vertical steaming makes it easy to freshen up drapes, upholstery, hanging garments and more around the house.